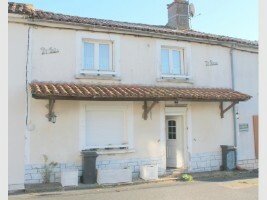 Mid terrace house, in a pretty little village with out amenities, comprising on the ground floor: living room with wood-burner (36m²), kitchen (23m²), bathroom with wc (6.2m²). Upstairs are a large bedroom (21m²), a landing and a loft space. Possibility of creating 2 bedrooms and shower room in the upstairs space. Partial pvc double glazing. 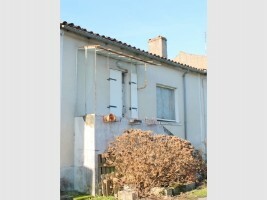 Garden 550m², separated from the house by a communal access lane to the rear of the row of properties. 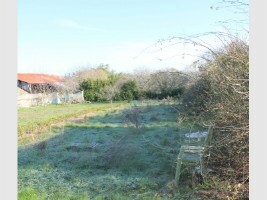 This property is in a hamlet midway between La Chataigneraie, Fontenay le Comte 85 and Coulonges sur l'Autize 79 (approx 15 mins from each). 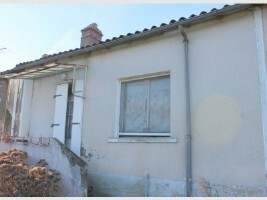 Price 19 000 Euros including agency fee. Price 16 000 Euros excluding agency fee.